If you don't tell anyone that these are gluten free, they will never know. I am not going to ramble on and on about these decadent gluten free recipes, other than to say that these are just a very few of the recipes that can withstand the addition of gluten free flour without the texture being altered. Classically called Florentines, these cookies have been around for a few centuries, but not from Italy. Go ahead and see if you can buy one in any Italian pastry shop. Now if you take a jaunt over to France, you will find them quite easily. They are also classically styled as dainty and sticky. Enjoy these simple Lace(Florentines) cookies without any added filling. 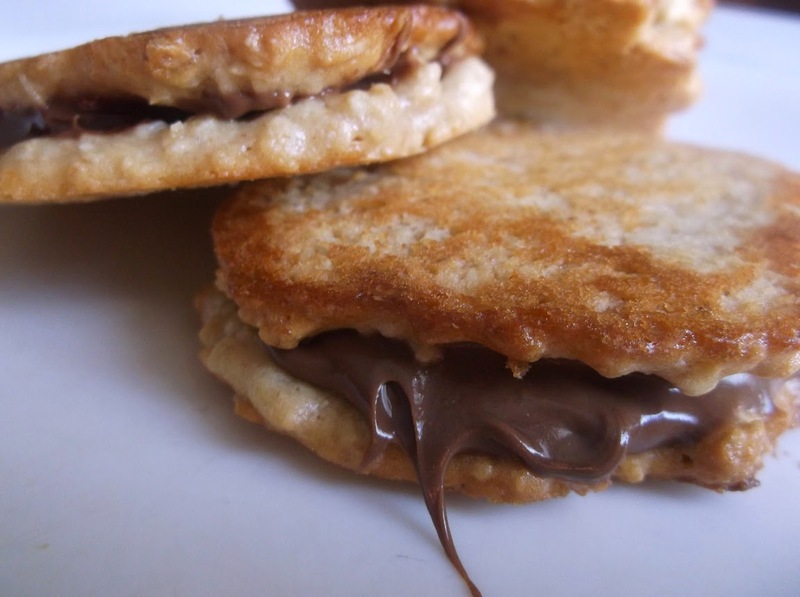 Drizzle each peanut butter cookie with chocolate as traditionally sold and marketed. Although rolled oats are naturally gluten free, they are sometimes transported in tankers that have carried a wheat product previously, so it is best advised to actively seek out gluten-free oats. These cookies are absolutely no different than if you had made them with all-purpose flour. 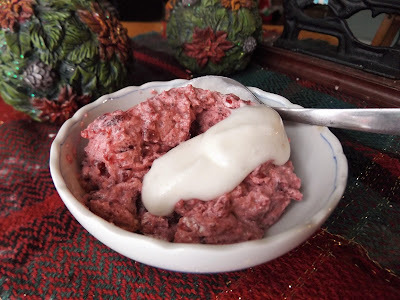 So for those of you who have had issues with texture and gluten-free recipes, you will be extremely happy with these treats, as well as the following two. I must add, however, it is vitally important that you read every label with regards to gluten content. Even though these ingredients are gluten free, read the label first to ensure a satisfying, and relaxed, dining experience. Line 2 large baking pans with tin foil; set aside. Preheat oven to 350-degrees F. In a small bowl, add peanut butter and oil. Cover with film wrap and microwave on high for 30 seconds. Remove and stir until smooth; set aside, covered. In a large mixing bowl. add rolled oats, sugar and rice flour, blending well. Stir in peanut butter mixture, milk, melted butter and vanilla until completely smooth. It should be just barely pourable and very thick. If not, add a tablespoon more milk. Drop by the rounded teaspoon on prepared pan, forming it into a circle as best as you can. Leave 3-inches between mounds. With the back of a spoon, flatten each mound as thin as possible, retaining the circular shape. Dip the spoon in water after flattening each cookie. Bake for 9-11 minutes, or until the edges are turning dark brown. The top will not be browned much, but that is fine since it will be the inside of each sandwich cookie. Remove from oven to completely cool on pan. Meanwhile, melt chocolate by adding chips and oil to a small bowl and microwaving on high for about 2 minutes. Remove and stir until smooth. Carefully tear off each cookie with the foil still attached to the bottom and peel off the foil. This will be easier than it looks. 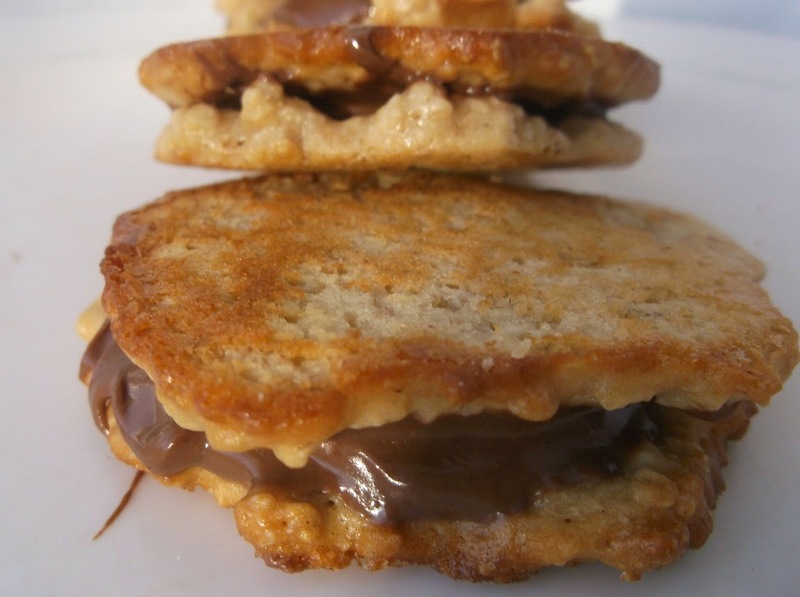 Dollop about a teaspoon or so melted chocolate onto one cookie and top with another, the crispy bottom on the outside. Enjoy! * There are many other gluten-free flours that work equally as well, such as chickpea, amaranth, barley, arrowroot, corn, millet, oat, potato, soya and tapioca flours to name a few. Makes about 22 filled cookies. Filled with simple, mashed mango, these coconut-flavored cookies will leave you wanting more and more. There is just no need to add anything else to the pure sweetness of mangoes and all this in a gluten-free sandwich of crispness. Mash mangoes with a fork or in a blender or food processor; set aside. Line 2 large baking pans with tin foil; set aside. Preheat oven to 350-degrees F. In a large mixing bowl. add rolled oats, coconut, sugar and rice flour, blending well. Stir in milk, melted butter and extract until completely smooth. It should be just barely pourable and very thick. If not, add a tablespoon more milk. Drop by the rounded teaspoon on prepared pan, forming it into a circle as best as you can. Leave 3-inches between mounds. With the back of a spoon, flatten each mound as thin as possible, retaining the circular shape. Dip the spoon in water after flattening each cookie. Bake for 9-11 minutes, or until the edges are turning dark brown. The top will not be browned much, but that is fine since it will be the inside of each sandwich cookie. Remove from oven to completely cool on pan. Carefully tear off each cookie with the foil still attached to the bottom and peel off the foil. This will be easier than it looks. 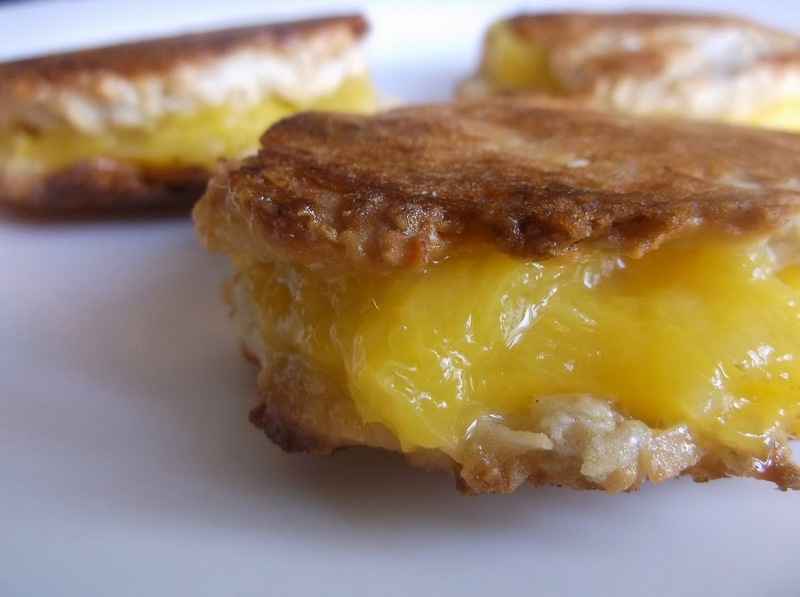 Dollop about a teaspoon or so mashed mango onto one cookie and top with another, the crispy bottom on the outside. Enjoy! Boy oh boy!!!! When you make a crunchy sandwich out of peaches and raspberries, you will be ready to make them again the next day. You will adore not only the healthy aspect of these simply made "Florentines", but the perfect blend of flavors. As mentioned in the first recipe, you can substitute all-purpose flour with zero distinction between the two. Chalk this one up for a remake! In a bowl, mash peaches or use a blender or processor; set aside. Line 2 large baking pans with tin foil; set aside. Preheat oven to 350-degrees F In a large mixing bowl. add rolled oats, sugar and rice flour, blending well. Stir in milk, melted butter and vanilla until completely smooth. It should be just barely pourable and very thick. If not, add a tablespoon more milk. Drop by the rounded teaspoon on prepared pan, forming it into a circle as best as you can. Leave 3-inches between mounds. With the back of a spoon, flatten each mound as thin as possible, retaining the circular shape. Dip the spoon in water after flattening each cookie. Bake for 9-11 minutes, or until the edges are turning dark brown. The top will not be browned much, but that is fine since it will be the inside of each sandwich cookie. Remove from oven to completely cool on pan. Meanwhile, melt chocolate by adding chips and oil to a small bowl and microwaving on high for about 2 minutes. Remove and stir until smooth. Carefully tear off each cookie with the foil still attached to the bottom and peel off the foil. This will be easier than it looks. 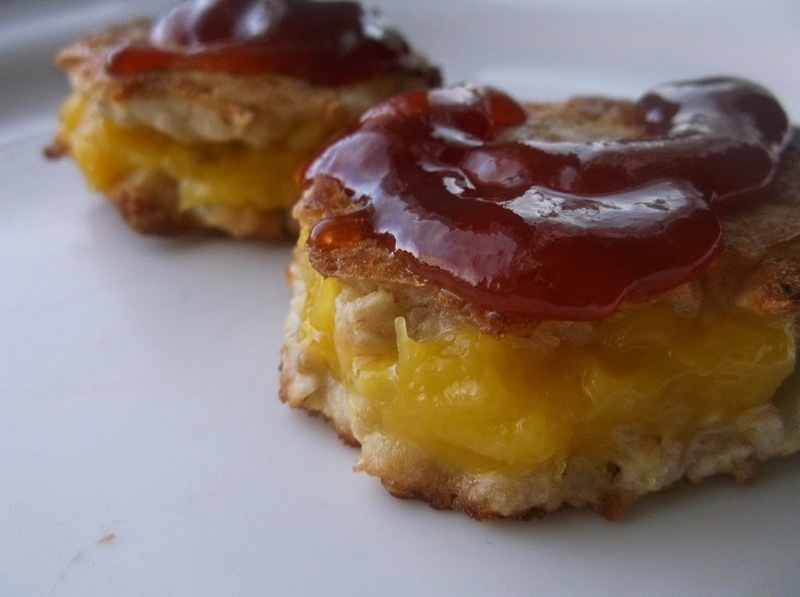 Dollop about a teaspoon or so mashed peaches onto one cookie and top with another, the crispy bottom on the outside. Enjoy! In a small bowl, add the raspberry all-fruit. Cover with film wrap and microwave on high for 30 seconds. Remove and stir until smooth. Drizzle over each cookie. Wait For It...Wait For It...Wait For It!!! This anticipatory mantra can be heard, and verbalized, throughout Yankee-land only once a year, and that is during "sugarin' time". With maple syrup making now in full swing here in New England, and the fact that I have never touched on this syrup making even though I am The Yankee Chef, I feel obliged to explain the history, process and the ultimate result in this long, drawn-out endeavor. I am sure many of you know why maple syrup is more expensive than the cheap, fake sugar-based liquid called maple syrup in supermarkets, but one taste and you will be a convert for life. The sugar(aka rock) maple tree produces that slightly sweet sap that is pain-stakingly transformed into maple syrup for only about 5-6 weeks of the year. 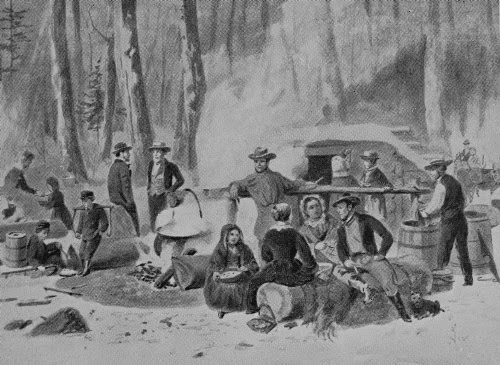 Usually by late February, early March, sugarmakers are out in the sugarbush(a group of sugar maples)setting up their buckets or tubing. How do sugarmakers know when the proper time is? This is a knack that us New Englander's have ingrained in our soul, believe it or not. Because there really is no set time, the sugarmaker needs to be rely on instinct, the ice flow in the rivers and streams, the cries of the crows and the time of year when the nights are still below freezing but the days are much warmer. When "sugar weather" is upon them, then they are upon the trees with their spiles. Going from tree to tree, drilling holes in trees that are at least 40 years old and have a diameter of at least 10 inches and driving the metal spouts(spiles) into the trees if they are using buckets for gathering. These buckets that hang from the spiles slowly start filling up, and I mean slowly. If a sugarmaker is using tubing, hard plastic spouts are used that are all connected to the main hose for the sap to flow in one central location. One good-sized, healthy tree can be tapped for over 100 years, but never in the same hole. They can even have 3 or 4 taps in the same tree, in the same year, in order to increase output. Unhealthy trees, or ones that have been plagued by insects are rarely, if ever, tapped. Why? Because of the honor and respect a New Englander has for these gorgeous trees that give so much to us Yankees. Getting only about 10 gallons of sap per hole, the end result will only be about a quart, depending on the length of the season, weather conditions and overall tree health. And speaking of the length of the season, this too, is hard to explain. Many times, the weather thwarts any attempt of even workloads and constant boiling. One week, a sugarmaker may have sap running for 3 days straight and then all of the sudden 3 days of nothing. It is during this time of sap running that the sugarmaker is up almost nonstop boiling and bottling. When sap ceases its flow because of the uncontrollable weather conditions, this is the time when the sugarmaker will catch up on some sleep and clean his equipment for another run. Much like the Southern moonshiner of old(and 'new' according to television shows now airing), the first run of this clear sap is ready for the "distilling". The image to the right is from a 1623 maple harvest. When the maple sap is initially obtained from the tree, the hydrometer gives the sugar content ranges as 1-4 percent, which is very low. 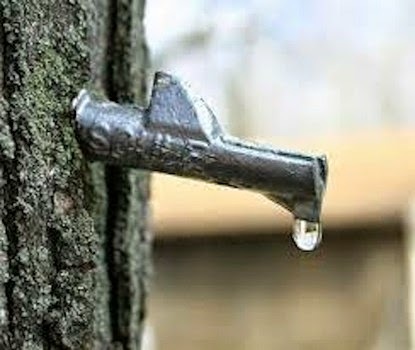 The rest of the sap is simply water, which must be evaporated as soon as possible because, as in most fresh products, sap is also best when fresh. Like in the olden days, many sugarmakers use the bucket method, going out from tree to tree, again, and emptying these sap buckets in one large gathering tank that is atop a sled or wagon of some type. Horses and oxen are still used widely to drag this sled, but tractors are used just as much now. When the tank if full or all the trees have been attended to, it is brought back to the sugarhouse and dumped into a storage tank before boiling down. When using the tubing method, the sap runs directly into the mainline and into the storage tank. Here in New England, you can still find the same sugarhouses that were used a century or more ago. Rustic in appearance and crude in amenities, it has been passed down from father to son for many generations. Still other sugarhouses are state of the art, with stainless steel equipment, tanks and bottling facilities. There is, however, one item of each sugarhouse that hasn't changed over the years, and that is the cupola. This is the vent at the peak of the ceiling, or roof, that allows the steam from boiling to escape. This author can truthfully, and with a sense of Yankee pride, say that there is no better picture in the landscape of our forested land than the sight of billowing plumes of steam rising from the sugarhouse. Much akin to the smoke rising from the Vatican, it signals a new beginning, if only for the year. Directly under the cupola is the evaporator, which are flat pans that sit on a firebox. Whether it be wood, gas or oil fired, the flames dance all along the underside of pans. As with other uncertainties, it can take anywhere from 3 hours to a couple of days to boil 40 gallons down to 1 gallon. The sugarmaker keeps a keen eye of the syrup as it closes in on the right consistency and color. When he sees it turning a golden color and the temperature is 219 1/2 degrees, it has reached optimum density. Some sugarmakers do as they did in the olden days, putting a scoop into this syrup. If the maple syrup holds together when lifting it out, he knows it is time and has attained 67 % sugar with only 33 % water. It is then filtered, bottled and ready for sale. 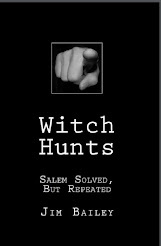 The end of the season is also determined by methods that are centuries old. Some sugarmakers will notice that the buds on the trees are getting larger and leaves begin to form. 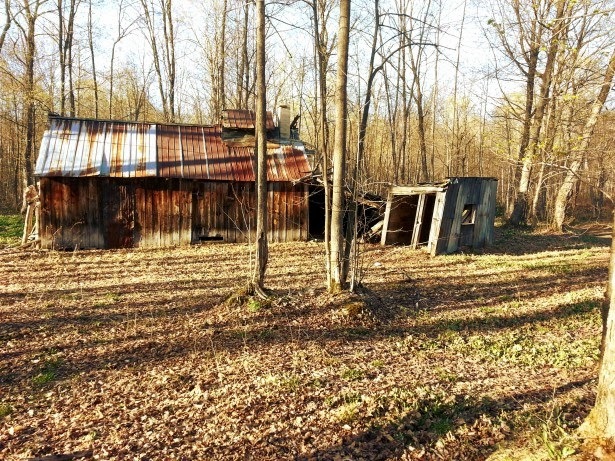 It is at this point that the sap is no longer worth boiling down and the sugarhouse is closed down and cleaned up. As for the different grades and flavors of syrup,. one thing remains true, regardless of the grade. The sugar content is the same, while the maple flavor starts with mild and leads to super strong, which is the way this Yankee likes it. As I mentioned earlier in this article, the fresh sap(or the very beginning of the sap run) results(when boiled down) is the 'sweetest' tasting and lightest in color. With a mild maple flavor, many sugarmakers confirm this light amber to be the most popular. As the season wears on, the more pronounced the flavor becomes and the darker the color gets. Medium amber is next, followed by dark amber. In years gone by, Grade B was after dark amber and was not popularly considered good tasting syrup. As the first Yankee Chef, the second Yankee Chef and me, the third Yankee Chef will unequivocally state, this is by far the best of the best. The darker the better. It is only recently that these snobbish "aficionados" have declared the darkest to be the best. Sorry guys, you are a century late. Many of you may be asking by now "The darker the syrup, the less sweet it is?". You would be wrong. As mentioned, they all have the exact same sweetness. They only taste less sweet because they have more maple flavor. According to my friends at the Maine Maple Producers Association, pure Maine maple syrup doesn't have, nor has it ever had, artificial....anything. The best way to keep real maple syrup is tightly resealing and placing it in the freezer because real maple syrup will not freeze. All the members of this association are top notch craftsman equal to no other. I cannot state enough, that if you have a chance to take your little ones to a sugaring house this year, or any year, please do so. This is one of the last remaining vestiges of the old way of life that still clings and will be around for some time yet. Once you taste real maple syrup, YOU will be the snob and turn your nose up at that sickening liquid sugar on the store shelves. Trust me on this folks. 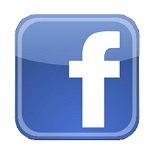 Here is some more info from my friends. 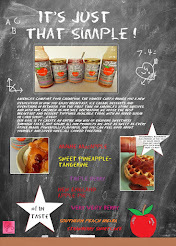 "Maple syrup also delivers more nutrition than all other common sweeteners and has one of the lowest calorie levels. Pure Maine maple syrup is made by boiling the sap of hard rock maple trees. It provides three times the sweetening power of cane sugar, and contains only 40 calories per tablespoon! 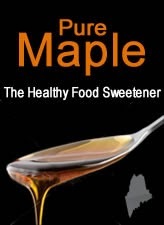 All Maine maple syrup commercially sold is U.S. Grade A quality, as defined by Maine law." Thank you to Maine Maple Producers Association for the following, simple clarifications as well. 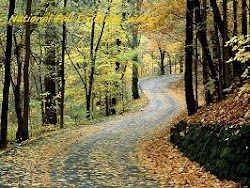 Grade A: Golden Color with Delicate Flavor Pure Maple Syrup is generally early season syrup. As tradition goes, this is the ﬁrst few runs of syrup at the beginning of the season, however with modern technology, we can produce this grade of syrup throughout most of the season. It has a ﬁne pronounced sweetness with a delicate maple ﬂavor. This syrup is desirable for pancakes, wafﬂes, French toast, and as an ice cream topping if a delicate maple flavor is desired. Grade A: Amber Color with Rich Flavor Pure Maple Syrup has a slightly stronger ﬂavor with a noticeable darker color. This syrup is by far the most popular choice for all purpose syrup. This grade has a rich full bodied taste that makes it the perfect compliment to most foods. It is the gift of choice by many. Grade A: Dark Color with Robust Flavor Pure Maple Syrup is much darker in color and has a stronger more robust maple ﬂavor. It is less desirable as a table syrup but often preferred in baking and cooking because of its strong ﬂavor. This syrup is great to pour over baked apples or squash or use as a glaze on meats and vegetables. Grade A: Very Dark Color with Strong Flavor Pure Maple Syrup is generally very late season syrup. It is great is foods and recipes where a strong maple presence is desire. Wonderful in cookies, breads, and baked beans. 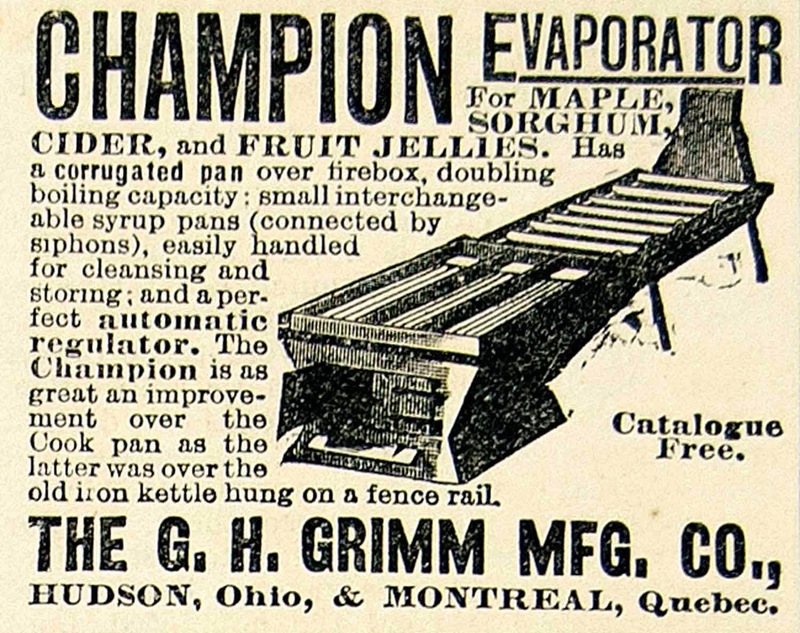 Due to the nature of this syrup, it is often only packaged in larger plastic containers. The U.S. Department of Agriculture announced on January 28, 2015, that grading standards for maple syrup have been revised to match international standards giving consumers a better understanding of what they are buying. In 2010, the International Maple Syrup Institute, which represents maple producers in the U.S. and Canada, started the implementation procedures for these new grade standards in hopes of making it easier for consumers to understand what grade of syrup they are buying as grades used to vary amongst regions. The revisions completely do away with the Grade B syrup label as the USDA notes there is more demand for dark syrup for cooking and table use. All syrup producing regions will now follow the same grading standards with Grade A to include four color and flavor classes for maple syrup: golden color and delicate taste, amber color and rich taste, dark color and robust taste, and very dark and strong taste. Now that we have learned just a little more about this purely natural sweetener that slaps that imitations stuff right "side the head", go out and enjoy some of New Englands finest sweetener and see what our forefathers and mothers served to your ancestors. Here are two sweet treats that has been around longer than even your great great grandparents. 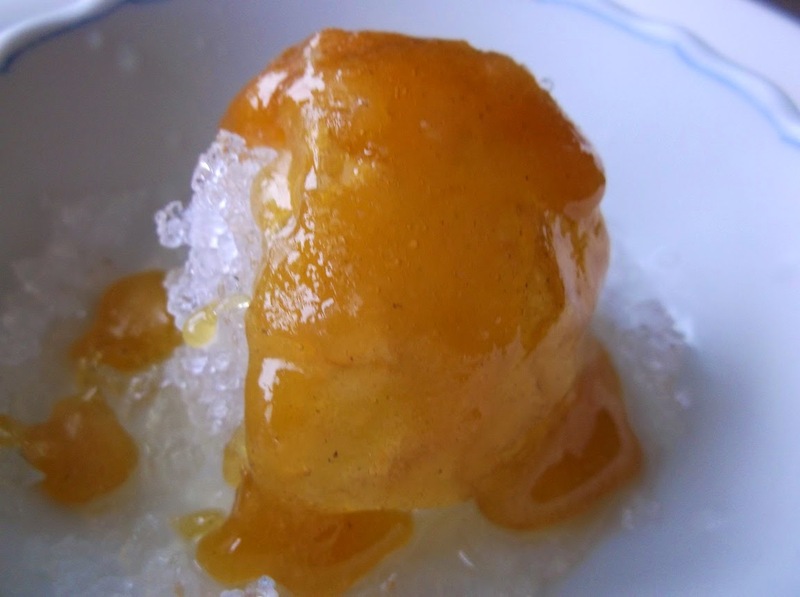 Maple Taffy is also called "Sugar on Snow", by which our ancestors referred to. 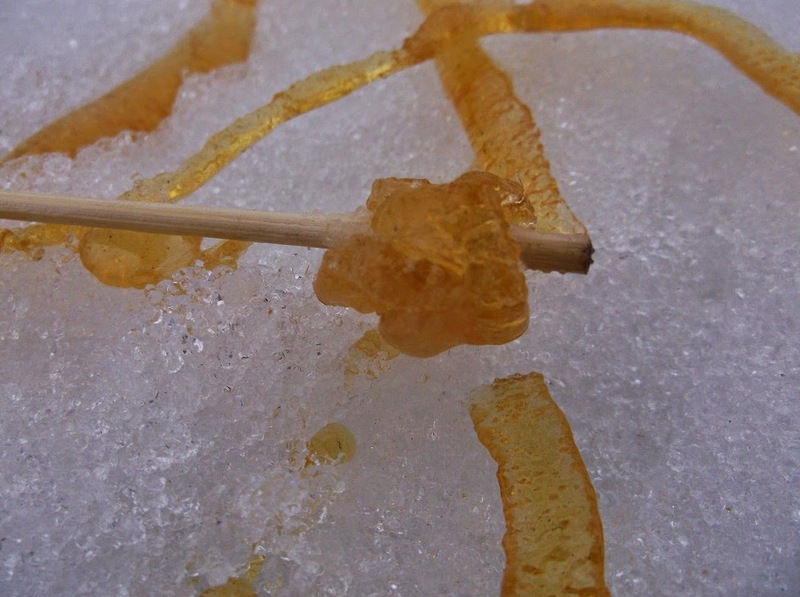 You can taste this treat at any sugarhouse throughout New England when the sap is running. 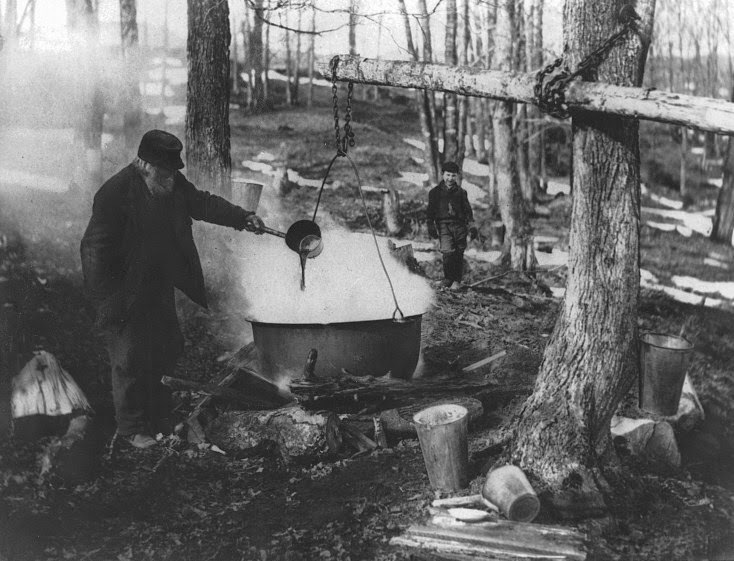 It is simply the sap that is boiled past the syrup stage and has long been a tradition to enjoy with donuts and pickles, believe it or not. We Yankees have been combining sugar and salt way before these celebrity chefs have been touting its culinary intrigue. When you roll it around a stick while it is still pliable, it will harden just like todays suckers. Also popular is the Maple Sundae. Which, in essence, is the same thing but drizzled over newly fallen snow and eaten the same way you would enjoy a sundae. And there we have a quick(at least in Yankee terms)rundown of our maple syrup life here in New England.